Studies show a B vitamin cocktail may stave off cognitive decline. Forgot where you left your keys? The name of your neighbor’s kid? Whether you locked the car? Anyone looking for an easy way to boost brain power is likely to come across an increasingly common piece of advice: Up your intake of B vitamins. The vitamins – including folic acid and vitamins B6 and B12 — are often touted as a way to improve memory and stave off cognitive decline. The claims are based on the finding that levels of the vitamin are low in people with various forms of cognitive impairment, including dementia and Alzheimer’s disease. But experts say it’s still unclear whether taking high doses of the vitamins will keep such conditions at bay. “I don’t know that people need to rush out and buy B vitamins — I don’t think we’re ready [for that] yet,” says Mary Haan, an epidemiology professor at UC San Francisco who has studied the relationship between B vitamin intake and cognitive function in elderly adults. Researchers believe B vitamins may affect brain health because of their ability to lower blood levels of an amino acid called homocysteine. In the 1990s, several studies documented high levels of homocysteine in people with cognitive impairment and dementia. But at the time, scientists didn’t know whether high levels of the amino acid caused cognitive decline or whether cognitive decline caused people to accumulate high levels of the amino acid. To determine which came first, researchers at Boston University followed approximately 1,100 healthy adults who were enrolled in the ongoing Framingham Heart Study, which began in 1948 to identify risk factors for heart disease. At the end of eight years, the researchers found that the rates of dementia and Alzheimer’s disease were higher in people who had had high homocysteine levels compared with those who had low levels. Their conclusions — that high homocysteine levels increase a person’s risk of dementia and Alzheimer’s disease — were published in the New England Journal of Medicine in 2002. Since then, a handful of studies have administered high doses of homocysteine-lowering B vitamins to subjects in order to determine the vitamins’ effects on brain function. The results have so far been mixed, with only a minority of studies showing a benefit, says Joshua Miller, a professor of pathology and laboratory medicine at UC Davis who studies the vitamins. In one such study, researchers in New Zealand administered either high doses of vitamins B6, B12 and folic acid or a placebo to 276 older adults with at least 13 micromoles of homocysteine per liter of blood. (Normal levels of the amino acid range from 4 to 10 micromoles per liter.) 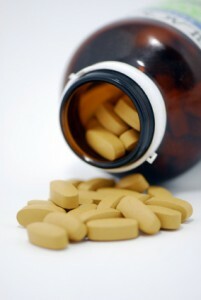 The group that took the vitamins did see its homocysteine levels drop to normal, but its members performed no better on cognitive tests than those in the group that took the placebo. The two-year study was published in the New England Journal of Medicine in 2006. In another study, published in the Lancet in 2007, Dutch researchers randomly assigned more than 800 older adults to take either high doses of those same B vitamins or a placebo every day for three years. In this case, the group that took the B vitamins not only experienced a drop in homocysteine levels but also performed better on tests of memory and information processing. But a third study, published in the Journal of the American Medical Assn. in 2008, assigned a group of 400 Alzheimer’s patients to take either high doses of B vitamins or a placebo every day for a year — and found no improvement in cognitive ability. Haan says the existing body of studies may be inconclusive because the causes of cognitive decline — which are incompletely understood — are probably too complex to be halted with a single vitamin supplement. And, adds Miller, it’s possible that future studies will show that the vitamins are helpful to only a subset of adults, such as those with very high homocysteine levels or early signs of cognitive impairment. He points to a recent study in which brain atrophy (or shrinkage, which occurs in older people who are losing brain function) slowed by 30% in elderly patients with both high homocysteine levels and mild cognitive impairment who took a B vitamin pill daily for two years. Brain shrinkage occurred at a rate of about 0.75% in the people taking B vitamins in the study, compared with a rate of 1.1% per year in a group that took a placebo. Adults need at least 300 to 400 micrograms of folic acid, 2.4 micrograms of vitamin B12 and between 1.5 and 1.7 micrograms of vitamin B6 daily. Amounts in these brain studies were greater than that — as much as 1,000 micrograms of folic acid, 500 micrograms of vitamin B12 and up to 20 milligrams of vitamin B6. Such high doses can have negative side effects: Too much B6 can cause numbness and insensitivity in the hands and feet, and too much folic acid may (confusingly) either mask or exacerbate symptoms of vitamin B12 deficiency. To some, tingling in the extremities may seem a fair price to pay for the possibility of delaying cognitive decline. But Haan stresses that the evidence in favor of taking B vitamins is still far too preliminary to act upon because there haven’t been enough well designed, randomized trials on the subject. “What we believe now could be disproven in a heartbeat,” she says.